A picture of a loved one who served in the military has an extraordinary value that lies beyond estimation. The memory of what the brave young men and women did for us remains forever, but the photograph may fade with time. An occasional search through an old album may reveal a picture that has lost the vividness that once reflected the person we knew from afar as an ancestor or up close as a contemporary. Photo restoration can return an image to its former luster to allow it to inspire for years to come. The loss of a loved one leaves a scar as inevitably as the sharpest knife, and the pain can endure almost interminably. A decision to restore an old photo of someone dear creates a feeling of joy, comfort and peace of mind. It is one thing to suffer an irreparable loss, but the inability to ever see a picture of a loved one again makes it that much more difficult. The pride of having ancestors who served remains with a family for all time, and the sight of them in a dress uniform or battle fatigues can bring a tear to the eye or a smile to the face as memory floods the mind. Photographs have the power to stir the emotions as almost nothing else can, and the possession of one that appears worn and faded never fails to warm the heart. A family that includes brothers or sisters who served deserve to have a beautiful copy of a military portrait of them in their dress uniforms and looking so proud to have the honor of serving in the military. Blue Star and Gold Star families have justifiable pride in the sacrifice that their loved ones made to keep America secure in action for the country. The bravery that they showed in choosing to put on the uniform and go to faraway lands that put them in harm’s way can never go forgotten in the hearts and minds of their families and countrymen. The glory that they earned belongs to them forever, and it is only up to us to remember them. The immeasurable joy that a photo restoration can provide for a family of the departed brings solace to hearts that ache. The chance to look at a loving face in a faded picture once again may not seem possible, but technological advances in photography make it so. An opportunity to repair that old photograph can make a precious dream come true. The passage of time can destroy the most valuable possessions, but the preservation of pictures prevents the loss of irreplaceable treasures. The clothing that appears in a picture of an ancestor may seem strange, but it showed the way that people dressed in bygone days. By opting for an expert photographic restoration, descendants can preserve it for future generations. 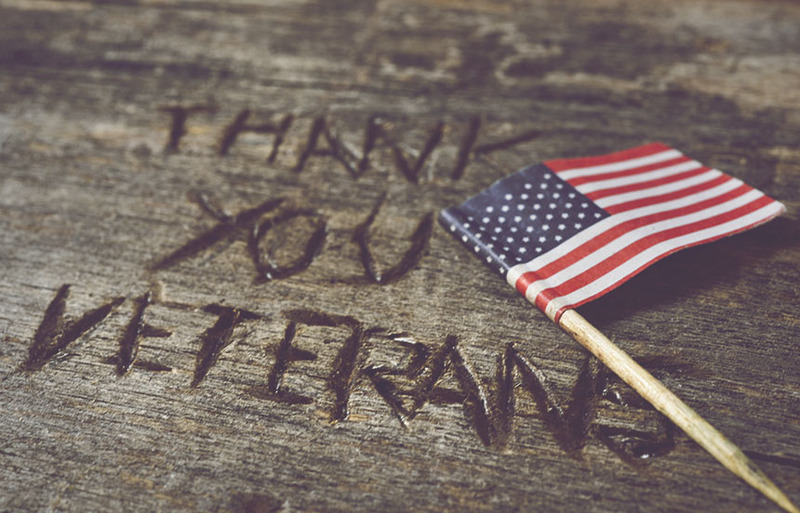 No matter how long ago they served their country in the military, it endures as a magnificent contribution to the country, community and the world. America’s willingness to confront wrongs wherever they occur stands as a testament around the globe of our commitment to freedom. Young men and women put on the uniform in battles that required bravery, deprivation, discomfort, injury, pain and suffering. Their willingness to do what they did for us distinguishes them as heroes in the most real sense. Without concern for themselves, they marched bravely into battle to defend the world for liberty. They gave the full measure of devotion without concern for their safety or well-being but only wishing to serve their country and their buddies who stood next to them in battle. Precious pictures of veterans may appear in family albums, but time and humidity can make them fade away. Photos of soldiers in world war i, with many more years of exposure to the elements and the ravages of time, need a rescue effort that brings them out of obscurity. A framed picture of an ancestor can grace any home’s living room to reflect the honor that the family places on extraordinary service to the country. Even as long ago as the revolutionary war in 1775, American heroes in uniform had their pictures taken as they fought the battles that established the United States as an independent power. While the photographers used a technique that seemed unlikely to work, it produced images that modern technology can enhance and preserve for years to come. Many challenges have come to the United States as wars demand the service of the proudest and best in foreign lands. Anyone who had a relative in the korean war has at least one photo of a GI standing in the snow and below freezing weather. The images that became familiar through the years that M.A.S.H. appeared on television every week and the reruns as well help demonstrate the frigid temperatures that they endured. The summers brought high heat and frequent rains that created hot and humid conditions as difficult to tolerate as the cold in winter. The vietnam war brought unimaginable hardship and discomfort along with the horrors of battle to the private and the 4 star general alike. The brave members of the American military fought and served to protect freedom around the world with the determination of all ranks to win. The skill of the pilot cleared the skies, and the infantry took care of the ground with companionship and coordination that made victory possible. The commitment that each member of our fighting forces demonstrated for each other created the real strength of our military. The advanced equipment and the support of the people contributed to the victory, but the bonds that existed then made the difference. In photos of Americans in the swamps of Southeast Asia, the uniforms reflect the constant presence of the high heat and humidity of the area. The American presence in iraq and Afghanistan required the bravery and sacrifice that has characterized the military for almost 250 years. Photographs provide one of the surest and best ways to preserve our history and a family’s participation in it. With the United States role in the world as the melting pot, many Americans have family members in a homeland in another country. They had their share of battles over the years as well, and any other military conflict can produce the same nostalgic photographs of bravery and honor. While restoration can bring a clear reflection of events that took place years ago, it preserves the memory of a loved one who gave the full measure to serve America. Any member of the military who is that old deserves the love and respect of a devoted country and a loving family. While it may seem surprising to see the face of an ancestor, quite often it resembles young family members. Each generation has a hard time thinking of the previous one as young, strong and energetic. Those qualities belong to everyone at some point, but they can disappear with time like the faded photo of your family member in the military. Photo restoration is like bringing a long departed loved one back into the circle of family love once again. It requires only a little imagination to picture that ancestor as a young person, eager to put on a military uniform and take a position in the long line of those who have gone ahead. For those who did not return from war, the need to restore a photograph becomes even more important for family members. The sentimental journey to perpetuate the memory of the departed applies to all who have served in the forces of any country and not just the United States military. A level of commitment to any defense system makes it possible for them to do extraordinary things that defy understanding. A framed photograph that occupies a prominent location in a home pays tribute to the outstanding devotion that exists in the band of brothers and sisters who serve their country. Military service for any country across the globe creates an indelible mark of distinction that never diminishes even though years may separate them from the present. As a matter of great consolation and peace of mind for family members who want to preserve the past, we can bring that photo back to life. While technology has not always allowed it, we have the equipment that lets our skill, artistry and understanding work what may seem like a miracle. We use our years of leadership in the field and our in-depth knowledge of techniques to fix old photos. It lets you join your loved ones in precious memory when you see their beauty, youth and vigor in a restored photograph. You do not need to suffer the sadness of a long lost memory when you let us restore a photo for you. American presidents have always called on marines to do the nearly impossible jobs. Jefferson was the one who sent them to the legendary shores of Tripoli, and each one since has known that jobs get done when they go to work. While the uniform has changed over the years, the handsome outfits have used the classic red, white and blue for dress since the beginning. The stiff collar gave the service the nickname that remains a favorite. In the 1800s when bayonets and sword attacks endangered the “leathernecks,” it protected them from injury. Remembrances in homes across the country show that everyone must remember and honor the significant contributions that loved ones made. Proud family members have an honor-bound duty to respect the traditions that inspired their loved ones to volunteer and serve in the United States military. Something as simple as displaying a photograph in a living room helps keep the departed loved one ever-present in memory. A family can gain comfort and peace of mind by commemorating those who fought and died to keep America secure and free. The respect that members of the military deserve for fighting in the trenches of world war i, the frozen ground of Korea, the swamps of Viet Nam and every other trouble spot around the globe gives them a well-deserved position in history and the hearts of family members. The first photographs that each new member of the military receives feature a fresh young face and a strong body in a handsome uniform. The army changed its coat from red to blue to make it different from the British troops early in the country’s history. The uniform has altered its appearance about every 25 or 50 years to make it adapt to the conditions where soldiers serve. Until 1947, the air force did not initially have a uniform that distinguished it from the other service branches even though work on a design started in 1945. Sailors served the country from its earliest days, and the familiar white uniform of the navy was as recognizable then as it appears in the first part of the 21st century. A uniform gives each service member an identity that generates pride in a photograph, a parade or in a duty station around the world. The coast guard had uniforms from the earliest days of the country as well even though they may not have always looked alike. The advances in modern photographic technology make the old cameras seem even more inadequate than they probably were. However antiquated they may seem to the current users of smartphones or a modern high-end digital camera, the early models captured images that preserved them for posterity. As early as 1973, people wanted instant pictures, and polaroids produced them. Long before then, the civil war tintypes required photographers to apply chemicals to create a reaction that produced a likeness while also focusing on composition. We can work on any photograph, no matter its age or condition. Photographers who understood the complexity of outstanding equipment knew that the Zeiss Ikon Contax II had a historical heritage. From its start in 1932 as a model in the line of cameras that Zeiss Ikon produced, the Contax set a high standard of excellence. Photography aficionados know that the commitment to quality that characterized the Nippon Kogaku company led to the extraordinary development of the Nikon S 2 silver dial. 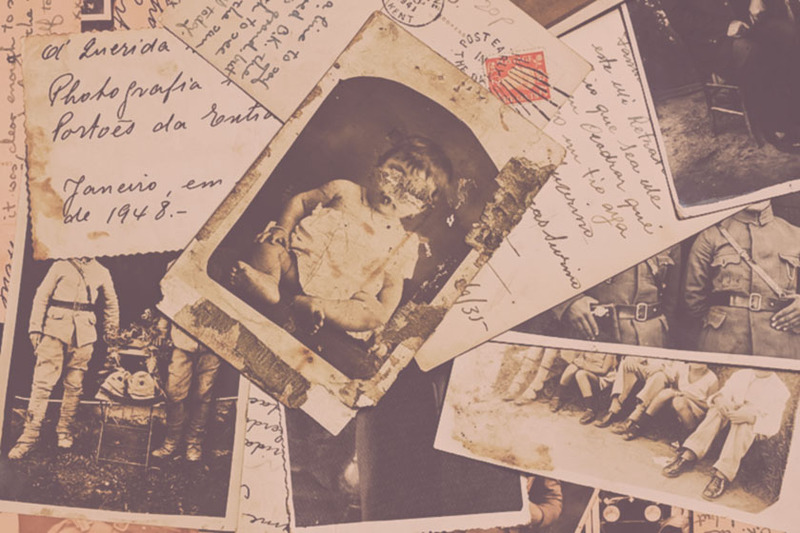 If you've got old war photos or military portraits sitting around, why not restore them with us and bring those old memories back to life. Honor your loved one with photo restoration and make their military portrait something worthy of hanging on anyone's wall! Come by our Bellaire Studio or just upload your photographs on our contact form. Either way, we can't wait to meet you and talk about YOUR military veteran.